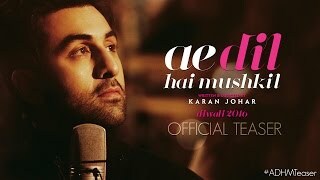 Ae Dil Hai Mushkil is the story of Ayan (Ranbir Kapoor) who is a MBA student and works for fulfilling his father’s dream though he loves singing. He happens to meet Alizeh (Anushka Sharma) after which their friendship begins. It turns out to be love however an unexpected decision of Alizeh breaks Ayan’s heart after which he happens to meet Sabah (Aishwarya Rai Bachchan). The rest of the movie is all about what happens in their lives. Watch Ae Dil Hai Mushkil to know about the rest. The first half of the film starts on a slow pace and it picks up gradually. The movie gets interesting as time passes and the songs have been shot well. The love making episodes have been fresh and Ranbir Kapoor, Anushka Sharma steal the show with their flawless performances throughout the movie. With an interesting interval bang, the first half of Ae Dil Hai Mushkil makes a decent one time watch. The second half of the movie has been dragged much and it turns boring in process. Some of the episodes look repeating and the audience get irritated because of the runtime. The movie picks back during the last half an hour which has been completely emotional and worth watching. 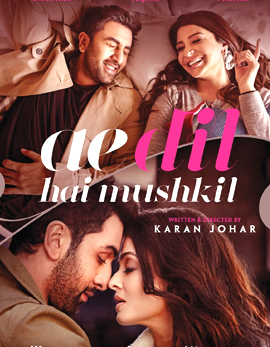 On the whole the second half of Ae Dil Hai Mushkil dips down because of the boring narration but it manages to turn ok because of the performances and the last half an hour. Ranbir Kapoor has been outstanding as Ayan and his performance during the emotional episodes have been stupendous. He has been extremely rocking and decent. 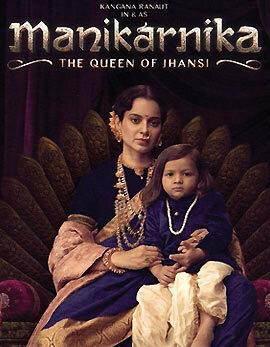 Aishwarya Rai Bachchan has been the show stealer and she has been extremely dominating throughout the movie. Anushka Sharma has been thoroughly engaging and energetic with her performance. All the other actors have been decent in their roles in the film. The story of Ae Dil Hai Mushkil has been decent and impressive. 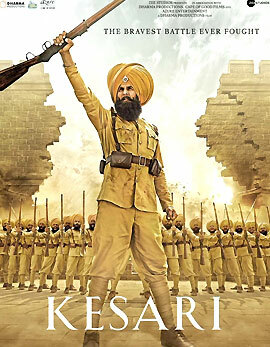 The screenplay and the dialogues have been well written and they looked fresh. The cinematography is the major highlight of the movie and the lavish production values made the film sit on the top. The music and the background score have been completely convincing and placed well. 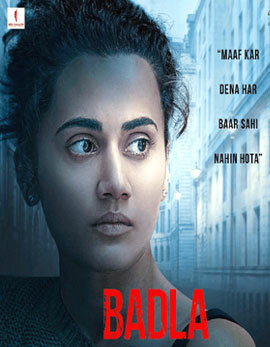 Karan Johar comes out with one more engaging emotional drama which has flaws but ends up impressive. 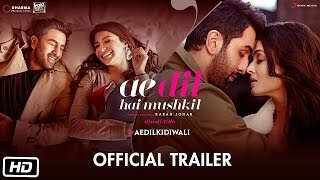 Karan Johar strikes the chord with Ae Dil Hai Mushkil because of the unusual performances by the lead actors and the fresh narration.